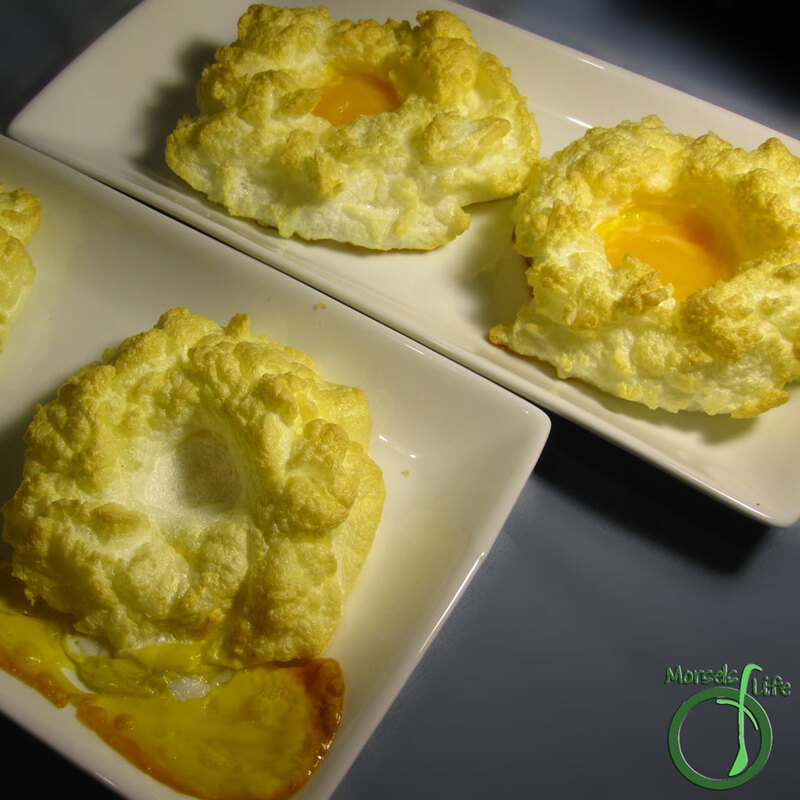 Egg whites whipped to stiff peaks, formed into clouds, and baked with a yolk center. When I saw this recipe on Simply Recipes, I knew I had to give them a try. They just looked so fun and whimsical. Not to mention - Lakitu's cloud. Maybe Lakitu's hiding some gold in its cloud? What are some of your favorite fun or whimsical foods? Separate egg whites and yolks. Keeping each individual yolk separated will make it a bit easier for you when placing it into the cloud. Beat egg whites into stiff peaks. Form egg whites into clouds. Make a small indentation where you want to place the yolk. Bake egg whites either before baking egg yolks or part way through, depending on level of "done-ness" desired. Bake egg clouds at 425F until slightly browned on top. These are so cute! I may just have to try them for my kids! I'm sure they'd be a hit with the kids (especially if they're into Mario :P). Give it a try - it's so easy and whimsy!